Because I’ve not done one of these for ages. And because it’s the battle of the reality shows starting tonight as The Voice and Britain’s Got Talent go head to head. 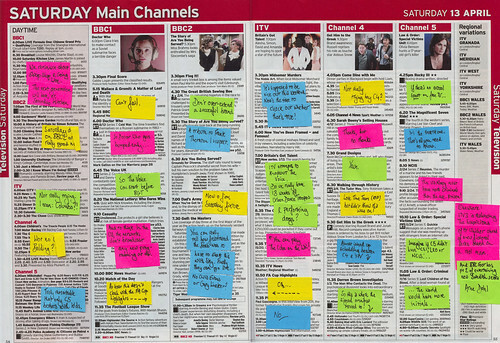 So here’s a new Radio Times scan to help you decide what to watch this evening.